President Abd-Rabbu Mansour Hadi reviewed on Thursday in a wide-range meeting with heads and members of the cabinet, parliament and Shura councils the latest developments in the country from different aspects. During the meeting, President Hadi delivered a speech where he touched upon a number of topics related to the current situation in the country and the efforts for tackling those challenges. 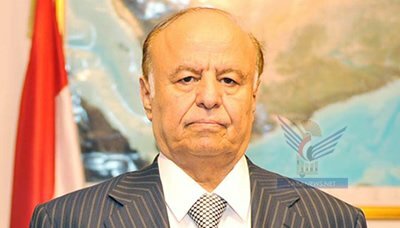 Hadi said that this meeting came after the formation of the new government and the technocrat government which was formed after a long negotiation in order to reach this formation which was agreed upon by most political components. President Abd-Rabbu Mansour Hadi urged on Sunday members of the Constitution Drafting Committee to accelerate drafting the initial formulation of the constitution to be put for a referendum in order to hold parliament and presidential elections. The President reviewed with them the latest developments on the ground along with efforts made to handle the repercussion of the current crisis. Head of the CDC briefed President Hadi on achievements made by the committee’s members on the progress of drafting the country’s new constitution. 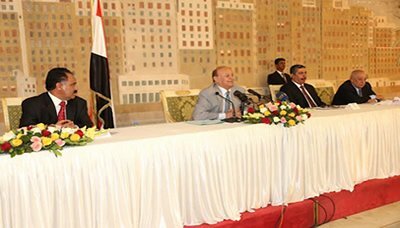 President Abd-Rabbu Mansour Hadi received on Sunday heads of industrial and commercial chambers along with a number of Yemeni businessmen. During the meeting, Hadi reviewed a number of topics and issues related to the latest developments in the country, especially the economic situation. He praised the role of Yemeni businessmen and their positions at various levels and in different circumstances. For their part, the Yemeni businessmen reaffirmed their full support for President Hadi and the economic reforms in the country. 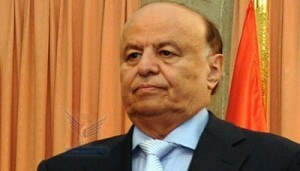 President Abd-Rabbu Mansour Hadi received on Sunday evening a phone call from Secretary General of the Gulf Cooperation Council (GCC) Abdul Latif Al-Zayani. During the phone conversation, Al-Zayani confirmed full support of the Arab League Council along with the GCC’s states to complete the remaining tasks of the transitional phase and to make the outcomes of the National Dialogue Conference (NDC) a reality. 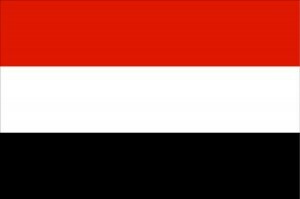 “The GCC’s leaders will stand by Yemen in order to get it out of its current standoff,” Al-Zayani said. He added that security of Yemen is part of the security of the GCC’s states, noting that the GCC’s leaders will not allow any bid aiming at undermining the progress of the political settlement process in the country which was based on the NDC outcomes. Summary of the initiative presented by the Presidential delegation today to end the political standoff. This initiative will hopefully pave the way for stabilizing the Capital city and its perimeter and provide the climate for a long-lasting quiet in the northern part of the country. * The President of the Republic is to announce, during the extended national meeting, that he will name a Prime Minister within a week, in consultation with the political constituencies. * The President may specifically nominate ministers of defense, interior, foreign affairs and finance. * The President determines the ratios of representation of the GCC signatories, Ansarallah, the peaceful Southern Hirak, women and youth. • The President Abd Rabbo Mansour Hadi is sparing no effort in implementing the national dialogue outcomes based on the Gulf initiative and its mechanism.